This is my third painting with these tulips. For this and the one before I used a soft florescent "daylight" bulb. I find these often work well for flowers because, unlike halogen, the light doesn't necessarily overwhelm (or shine right through) the delicate petals. I will be demo-ing at the Plein Air Convention in San Diego next week (Wednesday at 2:20pm, for those going)! This morning I am beginning the long journey down to San Diego, stopping off to paint with a friend for a couple of days. Unfortunately this means I won't be able to ship paintings until I am back (May 1st). I apologize for the inconvenience! 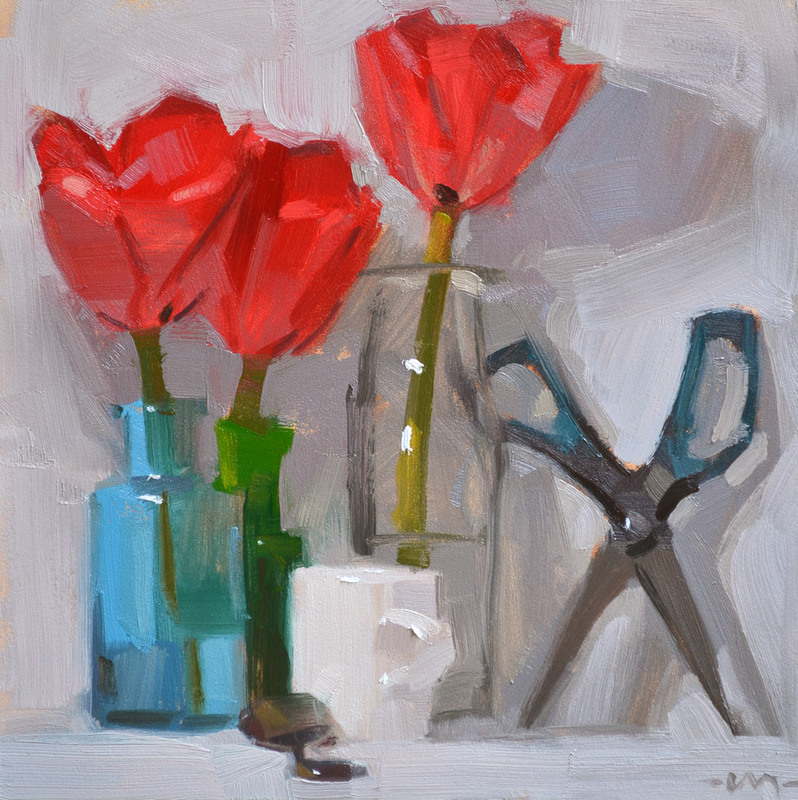 Beautiful tulip paintings, love those scissors! This caught my eye and made me smile this morning. Have a great time on your trip. 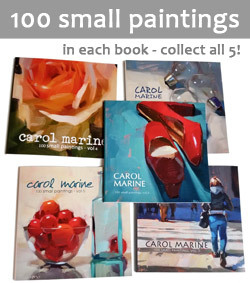 Great that you will be there at the Plein Air Convention. Enjoy the convention, and your time painting with your friend - that will be fun I'm sure.